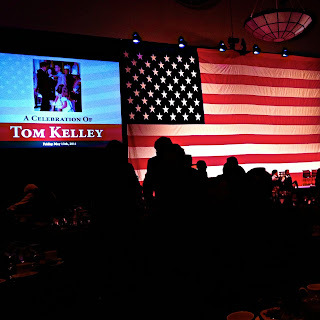 Friday evening I had the great pleasure of attending a dinner in honor of recently-retired MA Secretary of Veterans’ Services, Tom Kelley. If you caught Adrian Walker’s column in the Globe Saturday, you know at least a little bit about Secretary Kelley. To say he is a remarkable man – a living hero of the sort most people never have the chance to meet in person – is a vast understatement. Do yourself a favor and read about Kelley here. As Walker notes in his column, “[a]fter serving four governors,” Secretary Kelley “was bumped from the job by Governor Deval Patrick and left without a public ceremony.” And that was okay by Secretary Kelley. It isn’t too surprising to learn that a man who has been through what Kelley has been through wasn’t much perturbed by a petty political sleight. 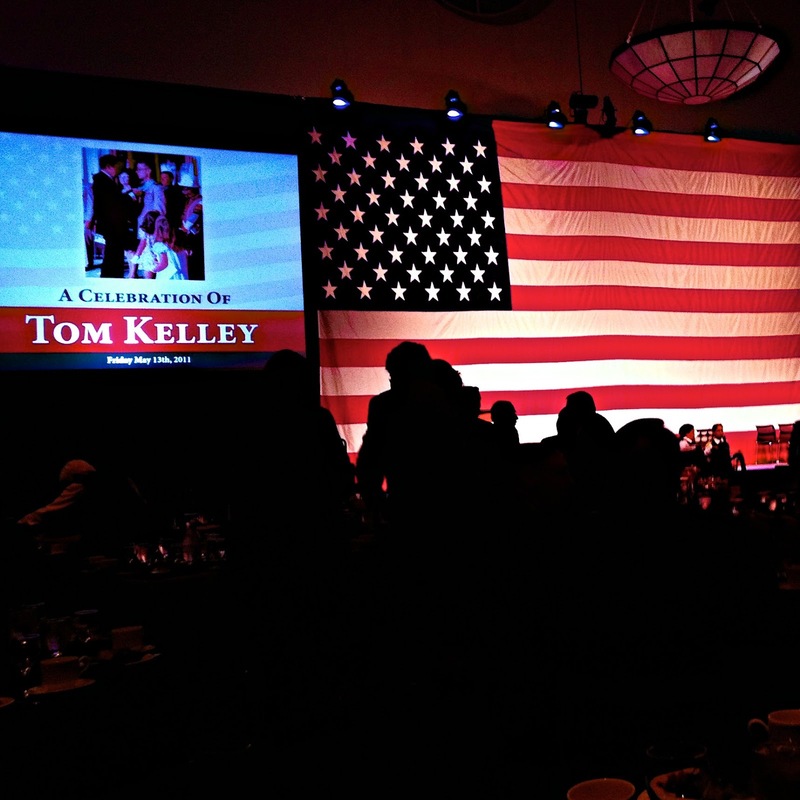 Others, however, did not like the notion of a man like Kelley ending more than four decades of service without proper acknowledgement. Kelley only agreed to participate in Friday’s event because its organizer came up with the excellent idea to make it a benefit for the most worthy of causes. The mission of the Massachusetts Soldiers Legacy Fund is stated simply on its website: “to provide educational assistance grants to the children of Massachusetts Servicemembers who were killed while deployed on Operations Enduring and Iraqi Freedom.” Watching the several video tributes and hearing from families Friday night who have benefited from the efforts of MSLF founder Peter Trovato and his skeleton crew (who take no compensation for their efforts), nobody in the Hynes could doubt the enormous importance of that mission. Due to the help provided by MSLF, military families who have already sacrificed unimaginably are spared the additional sacrifice of a child’s college education. The Globe reported that Friday’s event raised $150,000 for the MSLF. That would have been impressive, no doubt, but it actually raised three hundred thousand dollars, pushing MSLF’s total funds raised over four million dollars. That is tuition for a lot of kids. Various studies tell us that most readers make it no further than a paragraph or two into the typical newspaper article. One had to read to the tenth paragraph of Walker’s column Saturday (and the sixth of this one!) to learn that “[t]he driving force behind the gala was Charlie Baker, the former state official and Republican gubernatorial candidate.” The Swampscott Patch managed to notice, and the Herald’s Michelle McPhee (who co-emceed the event) wrote a column last week about the genesis of the event. But the State House News’s blurb last week did not so much as mention Baker’s name, and few other outlets covered the event at all.